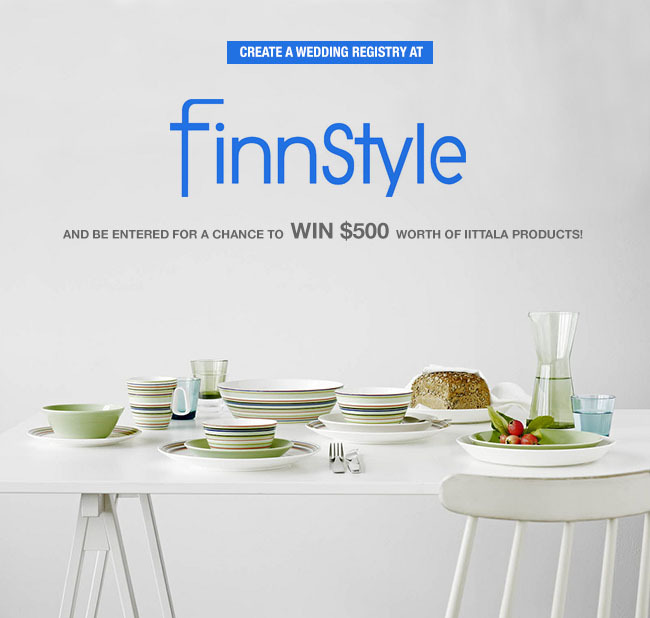 It seems like the wedding registry can sometimes be one of the most daunting pieces of wedding planning when, really, it should be one of the most fun! Luckily, times are a-changing and ZOLA is one of trailblazers in making registries so much better! We have shared ZOLA with you before – their beautifully designed registries are totally customizable + ensure you’ll get great wedding gifts (or unforgettable experiences) that you’ll cherish for a lifetime. 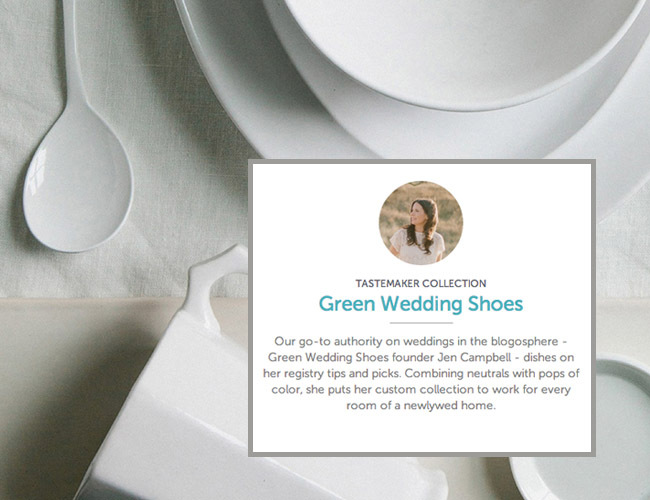 And today we’re extra excited because we have created a ZOLA Tastemaker Collection just for you! 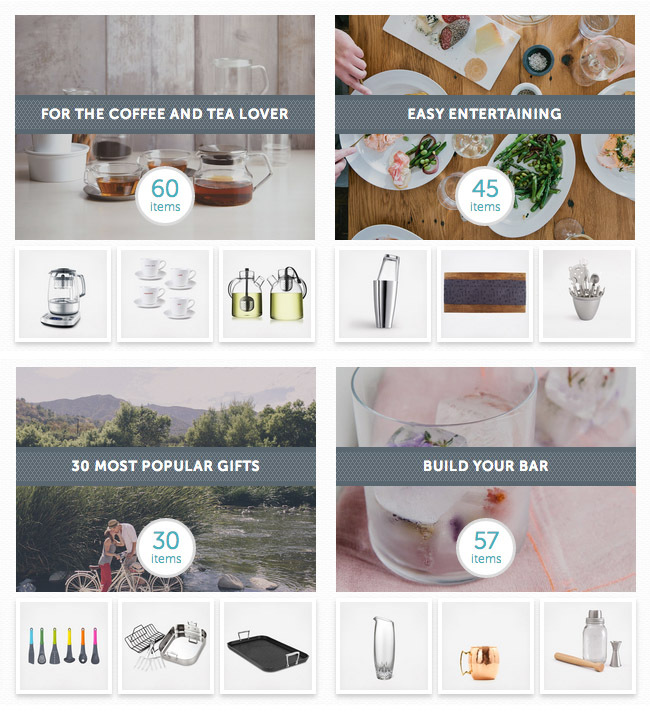 Filled with some of our most fave products – like stylish home decor, amazing cookware + fun bar accessories – it’s sure to be the perfect start to your personal wedding registry! So, be sure to check out our Tastemaker page to see the full collection we’ve curated + check out a quick glimpse of our absolute faves below. And don’t miss a special discount from ZOLA at the very end of the post! One of the best things about ZOLA is that the two of you can curate your own mix of gifts, experiences, honeymoon/cash funds, and products from anywhere on the web, all with a single checkout. 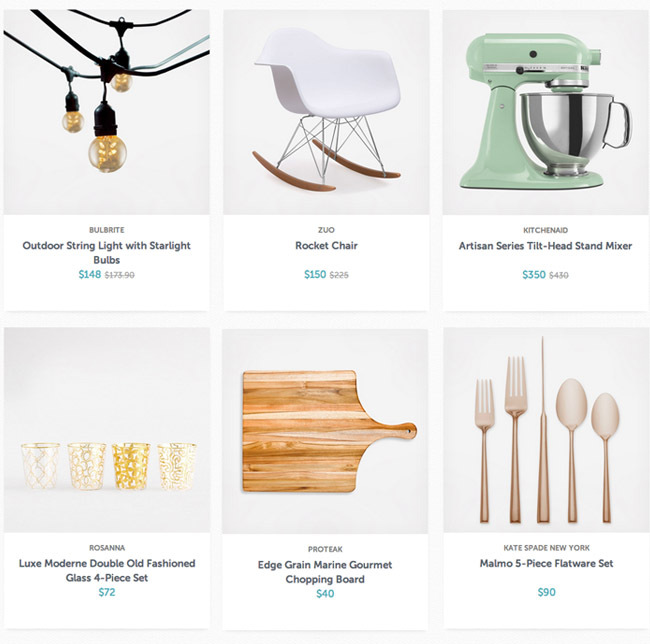 You can blend essentials from classic brands (like Kitchenaid, Le Creuset, and All Clad) with individual style from emerging designers (like Billy Cotton and Nine Space). And their group gifting option lets multiple friends contribute to a gift, so you don’t have to feel price-conscious about bigger-ticket items. Pretty key for couples these days. 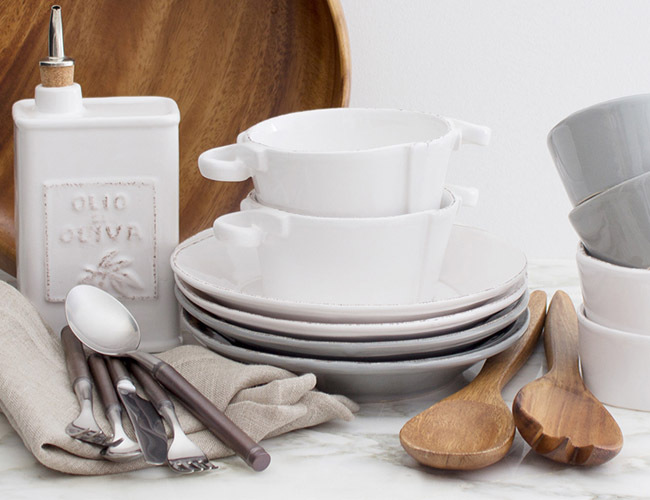 Ready to start your registry? 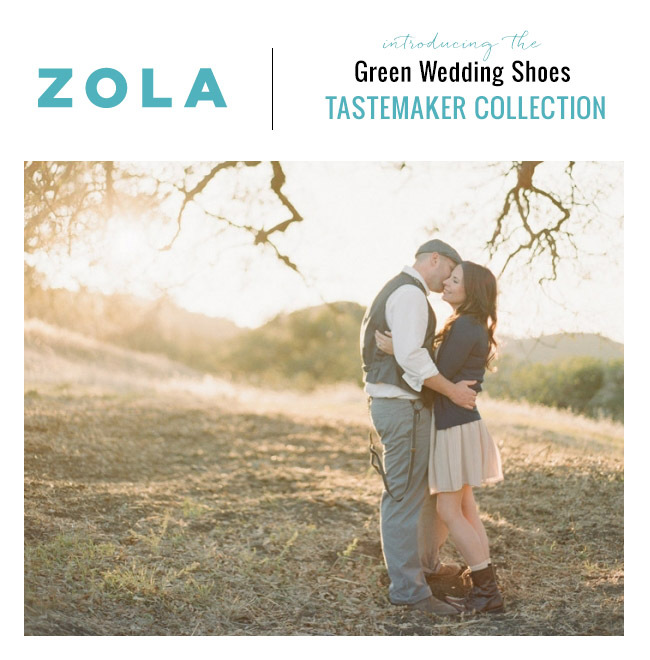 We’re excited to share that Green Wedding Shoes readers will receive $25 in ZOLA credits when they set up their wedding registry on Zola! New registries must be started (but not necessarily published) between December 11th, 2014 and March 11th, 2015. * Credits will be placed into the couple’s Zola account four weeks after a couple’s registry is published live. And be sure to check out Jen’s interview with ZOLA, sharing registry insight, ideas for dressing your home as a couple, and more! Top photo of Jen + Jason thanks to Sara Hasstadt.